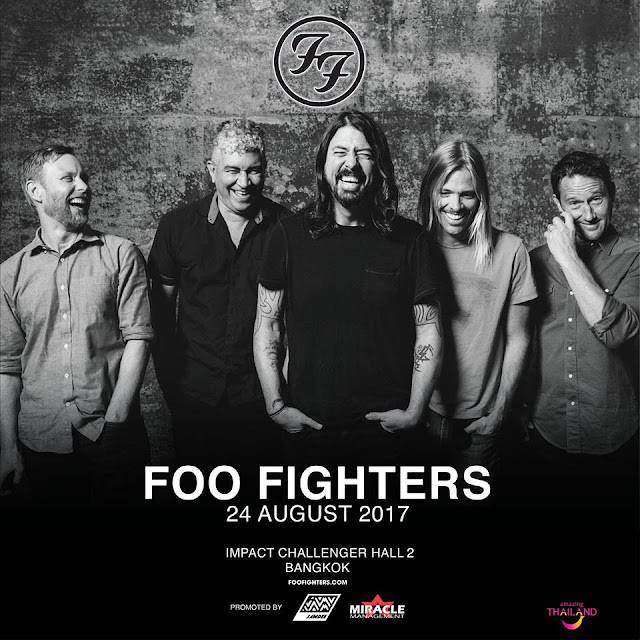 UPDATED 16 May 2017 - Foo Fighters has announced that their concert in Bangkok will take place on 24 August 2017 at Impact Challenger Hall 2. Tickets range from THB2,500 to THB6,500 which will go on sale on 22 May 2017 at thaiticketmajor.com. Over the weekend, Thai event organiser Godzillionaire posted the poster of Japan’s Summer Sonic 2017, hinting fans that one of the artistes performing at the festival will be coming to Thailand. 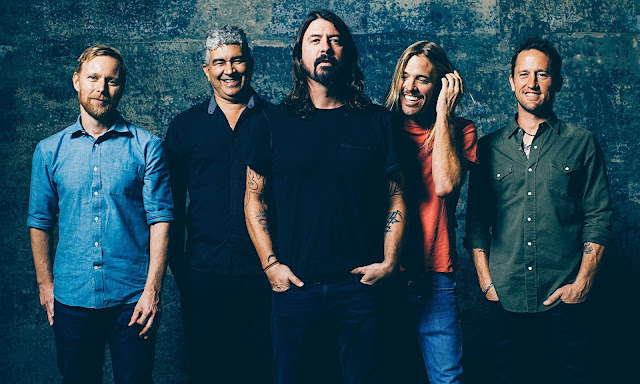 Now, it has been confirmed that the said performer is none other than the headlining act themselves – the legendary American rock band Foo Fighters! By end of May, the rock band will be kicking off their 2017 tour in America and Europe with Japan being the only Asian date in the line-up, but now it seems that Bangkok will be their second Asian stop as well as the first Southeast Asian location that will be included in the tour. 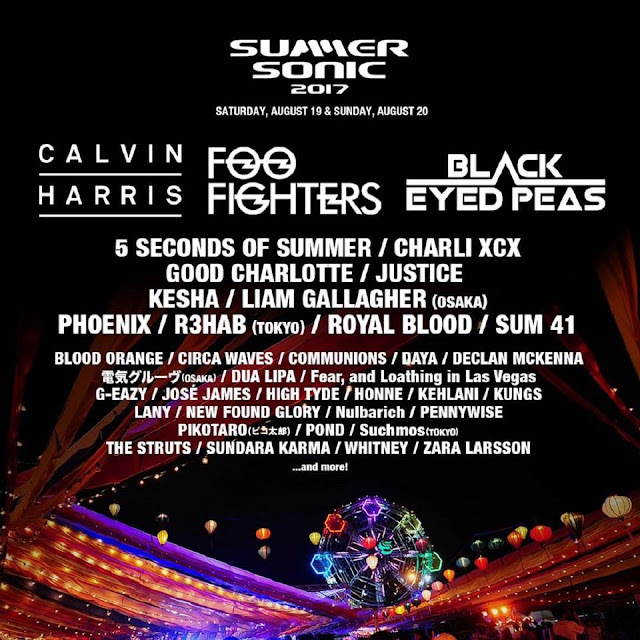 Though no dates has been announced yet, (it is however expected to be right after Summer Sonic in August) it has been confirmed by the organiser that the Seattle rock band will indeed perform in Bangkok, marking their return to the country after 21 years. 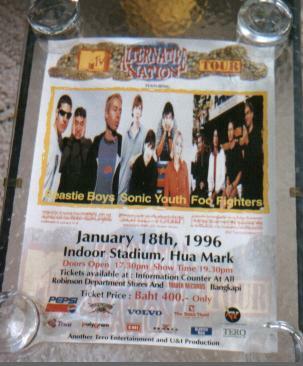 According to Asia Live 365, Foo Fighters first performed in Bangkok in 1996 at the MTV Alternative Nation concert alongside the 80s bands Beastie Boys and Sonic Youth, which both now had already disbanded. With Bangkok being the first Southeast Asian country announced for the tour, let’s hope that other Southeast Asian countries like Singapore and Malaysia will be announced soon too! As we wait for more updates from the organiser, here are some classic tunes from Foo Fighters.